T-Mobile swung for the fences as 2012 wound down with a 14 market launch event on December 20th. Now, they are starting off 2013 right with a new set of market launches bringing their total to 46 metro areas live with a 1900MHz modernized network. T-Mobile’s $4 billion plan to advance its competitive 4G network continues, improving signal strength and in-building coverage and re-tuning its airwaves to launch 4G service in an additional frequency, 1900 MHz, providing a 4G experience to a broader range of consumer devices, including the iPhone. Today T-Mobile is adding new metro areas, including Denver, Los Angeles, San Diego and Virginia Beach, Va. These network enhancements now reach 126 million people in 46 metro areas including major cities such as Atlanta, Boston, Chicago, Dallas, Detroit, Houston, Las Vegas, Miami, Minneapolis, New York, Philadelphia, Phoenix, San Francisco, Seattle and Washington, D.C. T-Mobile’s nationwide 4G network covers 229 metro areas reaching well over 220 million people. Its time for Tulsa to get some T Mobile love!!! So when do i start to notice on my One S in Los Angeles? If they have poor service inside buildings or what not they totally will. I was getting coverage deep inside buildings with 2-3 bars 4g when before it was straight edge. Pcs does really help in those situations. What Rudy said the answer I got when I spoke with Tech support about it. If the hardware of the phone is capable of picking up the signal then it can. That does not mean it will use it though. If the tower the phone is connected with has high traffic on it your phone could jump to a different one which may not be upgraded. That is the explanation I got when I asked how this affects their recent Tmobile branded phones. Cmon TMO no love for Pittsburgh yet? I think it has been turned on last month with Austin. Search for past articles from about mid December. Question is were all the towers upgraded or only a enough to make a light coverage area yet call the market as 1900mhz. That might explain why some people see the signal and others don’t in these markets. They say Detroit but i still dont get service in most buildings. Spokane!!! Anytime would be great! Stilll getting EDGE in San Diego (specifically the Mira Mesa area). This is not the boonies. Hopefully 3G is consistent throughout San Diego by May 6th which is when my ETF drops to $50. Better yet, they sell an iPhone which supports both AWS 4G and LTE to give customers a better experience during the refarm/upgrade. I will upgrade to the 5GB Value plan once this happens so I can use the phone as a hotspot. Yay! They were probably upgrading Paramus, NJ today, by Panera on route 4, as I was only getting 2G. Yes! Come on Come On!!! Is there a site that shows expected time frame for 4g rollout locations? Anyone noticed that they are calling the 1900 Mhz 3G that is compatible with the iPhone as “4G? That said, I live in the Minneapolis metro area refarmed in November 2012, and I rarely see 3G on my iPhone. It is full edge. By repeated removing and putting the nano sim, by Android device no more works so I am now stuck on an iPhone 5 with Edge coverage everywhere. Steady, almost permanent 3G in STC. I thought MPLS would be first but I think we got lucky. Los Angeles?! This is a joke right?! I still get more EDGE in LA than i do 3G on my 4S. 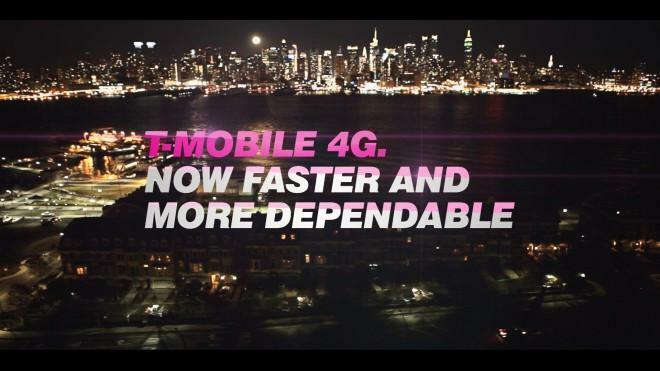 If this includes Long Beach as well then T-Mobile should definitely consider calling themselves the comedians of the wireless world. If you had a T-mobile phone with their 3G/4G compatible frequencies you wouldn’t have these problems. My phone gets 4G comfortably. In Chino here, noticed my iPhone 4 suddenly had 3G inside my house, which it never did before. Makes sense, thanks T-Mobile. Tulsa already has 4G. I’m in Tahlequah and can’t even get a 2G signs. I feel for you man, I live in Cache, Ok and work in Altus AFB. I get nothing but GPRS except Lawton its weak 3G, in a area dominated by Verizon/ATT 4G!!! :-(…. I agree. I live in Long Beach and the refarmed areas are very very spotty. My phone has 4G all over. Which phone are you using? They keep advertising all this great 4G nationwide coverage and I’ve yet to find it except in widely spaced areas with extremely small footprints. I live in a metro area of 400K people and their 4G coverage is about a mile in diameter. To find 4G again I have to drive 3 hours. otherwise it’s all Edge. Not even any 3G. So where is all of this wonderful 4G coverage they keep advertising? Denver? What about Colorado Springs? I have been in L.A. for 5 years. Tmo bars have gone down in my casa. Some parts I barely get signal. In the garage, no signal now. Guess Tmobiles sell off of towers have effected me. Im not part of those million costumers!!!! Boston was announed a month ago. I’m sitting here at work 100 yds from a MAJOR highway and I have the same 5-bars of 2G edge that I’ve always had. Yet this city and the neighboring cities were announced as “refarmed” a month ago. But I haven’t seen 3g anywhere unless I go into downtown Boston or Cambridge. All of the cities that were announced (Arlington, Waltham, Winchester, etc) are still 98% Edge only. These announcements are downright silly. Actually finish an area before announcing it as done. I live in LA, and while 3G coverage in the 1900mhz is spotty, it does exist. I don’t think it’s appropriate of T-Mobile to call Los Angeles a modernized market until all of their towers are reframed. Regardless, I’m glad progress is bring made. Whatever! I work downtown Denver and have the Samsung note it should pick up a signal from mars and I have nothing but dropped signals. What’s even funnier is there is a tmobile store down the street from me. How they can sell a phone is beyond me. Talked to customer service they claim I am in a dead zone. Downtown Denver is a dead zone. Nice. The entire state of Massachusetts is also a T-Mobile dead zone. It’s time that TURLOCK got an upgrade too! I have over 300 people with iPhones that would join tmobile if it had 1900 mhz here! I’m in LA and I get a solid H signal all over the city and in Long Beach. I have a nexus 4 though. When his guys will tmobile network in WEST VIRGINIA….I miss my connection…………. Hello everyone , just check airportal.de and it states that 3G was spotted in Honolulu . Has anyone else tested this ? I’m in Honolulu , and once T-Mobile has 3G on the island , I’m gonna make the switch . Thanks ! Here in Los Angeles, to be exact in Santa Monica, CA – the 3G on the 1900MHz worked until 2 months ago – NOW it’s ONLY 2G – when I do a network scan my phone finds AT&T 3G and T-mobile 2G – but no longer 3G – anyone else see that?